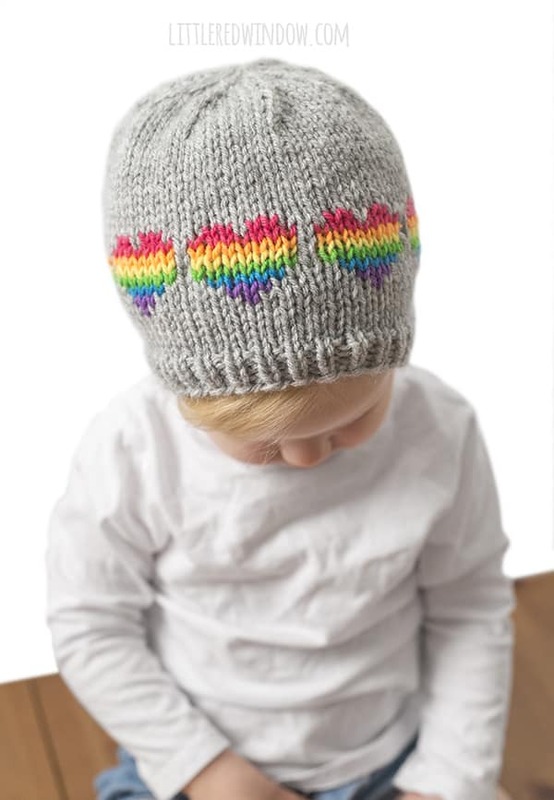 This fun happy rainbow hearts hat knitting pattern for babies and toddlers is perfect for Valentine’s Day or all year round! One thing I have learned is that you guys LOVE rainbow hats. I love them too, they’re so cheery and fun and bright! You also loooove heart hats. So what’s better than a combination of the two? 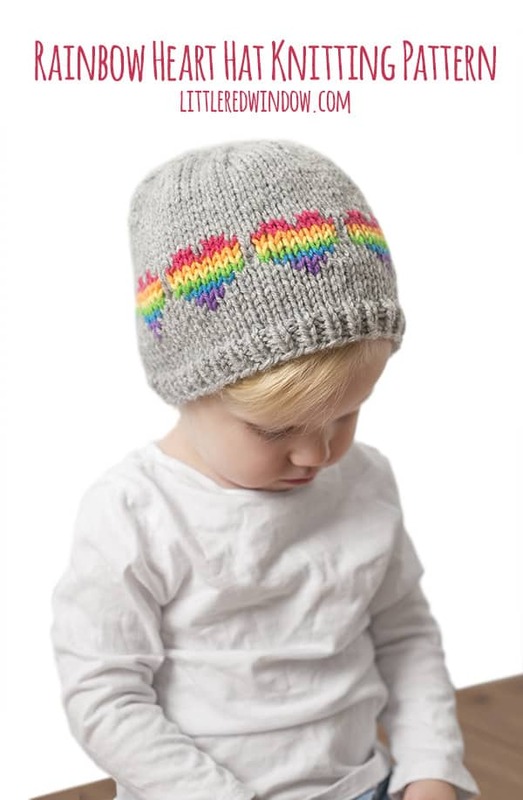 A rainbow hearts hat knitting pattern! 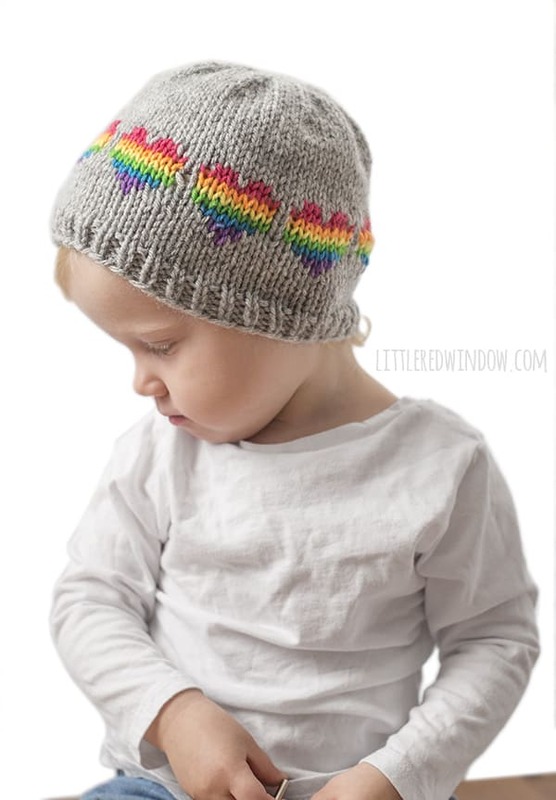 This cute fair isle rainbow hearts hat knitting pattern looks great in light gray with a ring of bright fun rainbow hearts around the brim. Knit it for Valentine’s Day but keep wearing it all year! (Hey, rainbows work for St. Patrick’s Day too, right?!) I think this might be one of my favorite hats so far, I just get such a kick out of rainbow everything. What should I rainbow next?! 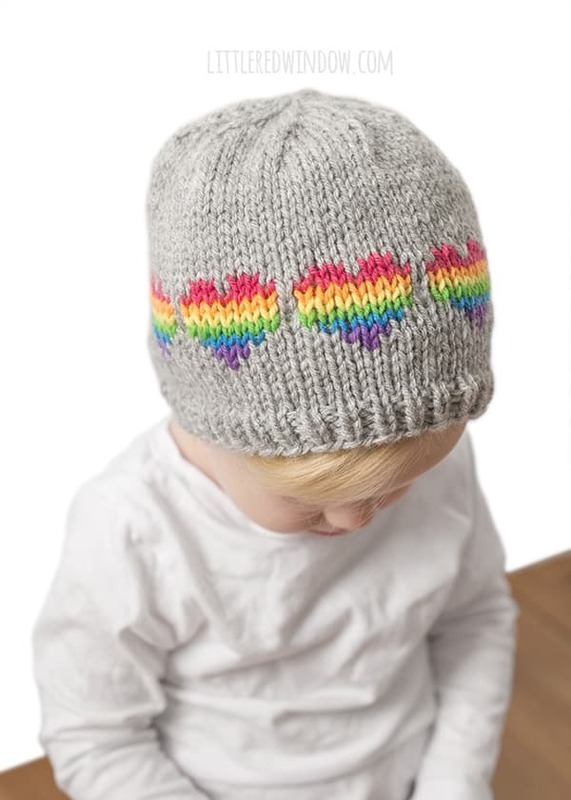 The rainbow hearts hat knitting pattern is knit in the round and requires basic knowledge of fair isle knitting (knitting with more than one color at once). But the rainbow hearts are so cute, it’s worth it!